How Bibi Netanyahu can turn the Iran deal in his favor. 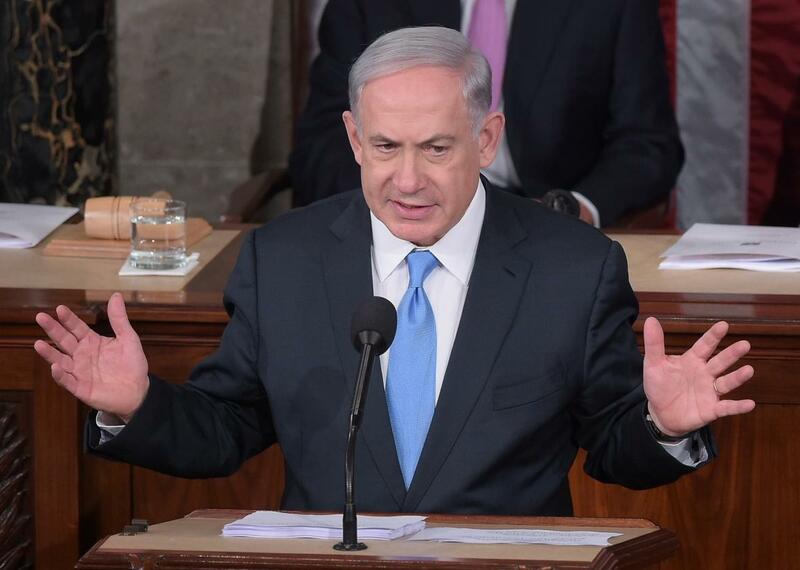 Israel’s Prime Minister Benjamin Netanyahu addresses a joint session of the U.S. Congress on March 3, 2015. The much-anticipated reaction of the Iranian “hardliners” to last week’s nuclear deal has been pretty muted so far. The New York Times reports today on a hastily thrown-together press conference of conservative analysts who’ve gone through the text of the agreement to find places where it supposedly crosses previously established “red lines.” And the previously highly critical hardliner newspaper Kayhan has offered some mild criticism. But with the supreme leader giving his tepid endorsement to the work of President Hassan Rouhani and his negotiators, not to mention strong public support for a deal to bring sanctions relief, it’s hard to imagine this grumbling having much effect. Proponents of the deal were playing up Netanyahu’s opposition even before it was signed, with former President Ali Akbar Rafsanjani, an ally of Rouhani, saying that hardliners “speak Netanyahu’s language.” When the framework agreement was signed back in April, supporters in the streets of Tehran chanted “Kayhan, Israel, our condolences,” putting the conservative paper and Iran’s arch-enemy in the same category. Republicans will probably need 13 Democrats from the Senate and 43 from the House to break ranks and oppose the deal in order to override Obama’s veto. It’s hard to imagine that what was seen as a blatantly partisan gesture by Netanyahu, the deal’s foremost international opponent, makes that more likely. You would think that this would be a major setback for the Israeli prime minister, but as the Times’ Jodi Rudoren notes today, it could actually work in his favor. Netanyahu’s conservative base will credit him for standing up to the United States to oppose the deal, and some of his moderate opponents, who also oppose it, may even use it as a pretext to join his government—shoring up his narrow and fragile coalition. The Obama administration may also now be less likely to put pressure on him on issues in the West Bank and Gaza for fear of being seen as piling on. Give Bibi some credit: It’s hard to imagine many politicians who could suffer a historic defeat on their signature political issue, be blamed for bringing it about, and still somehow benefit.